Renault has reduced its standard new car warranty from four to three years, a decision it claims will "enhance ownership". Models registered up to and including 31 January 2018 are still covered by the four-year /100,000 mile warranty package, which was introduced back in 2012. Models ordered and registered from 1 February 2018 now get a three-year warranty package from the first date of registration. This means most cars are covered for three year/60,000 miles, while vans, Koleos and Zoe are covered for 100,000 miles. Renault drivers get the bonus of free AA roadside assistance with no limit on the number of callouts. A Renault spokesperson told HonestJohn.co.uk: "With a significant proportion of our customers renewing their car before the start of the fourth year warranty, and therefore seeing little benefit from the extension, we have chosen to enhance the ownership package we offer with the newly-introduced EasyLife Pack offering customers three-year/30,000-mile servicing for just £99 – saving up to £560 on the previous package offered." The new Renault EasyLife Pack includes the three-year warranty and three years' roadside assistance as standard, with three years servicing for £99. The EasyLife + Upgrade (four years/four services) costs £200. 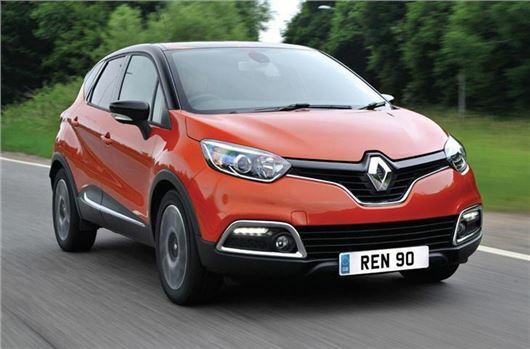 How does Renault's warranty compare to other manufacturers in the UK? What should you look out for on your next car warranty? Despite the marketing twaddle, this just says to me that Renault have no confidence in their cars to remain trouble free past three years. No doubt Renault have introduced the EasyLife pack as a temporary measure to soften the blow, then will remove it completely when people get used to the reduced three year warranty (a bit like what employers do these days when reducing employee perks). I noticed Mazda isn't on your list above either, but from my own experience, their warranty isn't worth anything so doesn't matter how short it is. Obviously, they don't have that much faith in their vehicles being warranty free for four years, however much they try to sweeten the pill with other items. So, eleven manufacturers (not including all the VW sub brands) only give 3 years warranty. Is it because they are the major manufacturers want you to buy their cars again every 3 years to keep their profits up or are they just selling us junk ? Volkswagen in America gives a SIX year warranty, but here they only guarantee suspension components for only six months ?? And in my unfortunate experiences most warranties are worthless, just like toilet paper and covered in 5 hit E. Dealers just try to wriggle out of everything and spout the most ridiculous excuses. All you have to do is read HJs questions and columns. The selling price after 3 years will take a downturn - the 2nd hand car dealer will no longer be able to say that the Renault warranty covers the buyer for 12 months. Instead the dealer will pay for a 3rd party warranty & pass it on to the new owner or the market in Renault will depress the 3yr old price. Renault prices at 3 years old were low anyway. Leasing / PCP costs of a new car depend on Buying Price, GMFV & Interest rates. Well thats Renault out then ! Along with Mini, BMW etc. The 4th year is a real bonus if you come to sell your 3 year old car with a full years Mot. Renault prices will depreciate even more now with a 1 year warranty removed. We get busted with car warranties in the UK. I've been banging on about it for years! For all those disappointed with their warranties can I recommend that you buy a KIA? I have owned mine since new October 2010 . After six and a half years I had a fault. Back to my dealer who put me a new brake light switch on the next day . No paper work no messing just did it.Free of course. I do have it serviced by the dealer in accordance with the schedule but this is sensible and cheaper than an after market warranty. I would buy buy KIA again as they have plenty of useful motors and I particularly like the new NIRO. Mirrors my experience with Kia - always helpful, with warranty claims addressed without any arguement.